Arsenal were held to a goalless draw by Southampton on Tuesday evening, with visiting former Manchester United goalkeeper Fraser Forster making a string of fine saves to deny their host from scoring. The result left Arsenal without a goal in three league matches and five points off the top of the league. 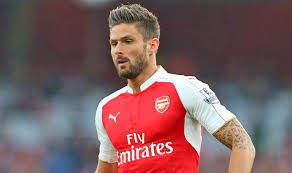 However, with 14 games still to play, Giroud feels now is the time for the squad to bounce back. When asked about the possibility of Arsenal becoming champions, he said “It’s a long way to go and we just need momentum,” “Hopefully we can start that against Bournemouth and then after we have a big February and March until the international break. “Now we are five points from Leicester City so it is going to be a hard time in the few weeks to go and we need to get as many points as we can. “We had so many chances to score and we didn’t do it. We missed chances here and it could have been maybe 3-0 or 4-2 but their ‘keeper did well and it was hard.